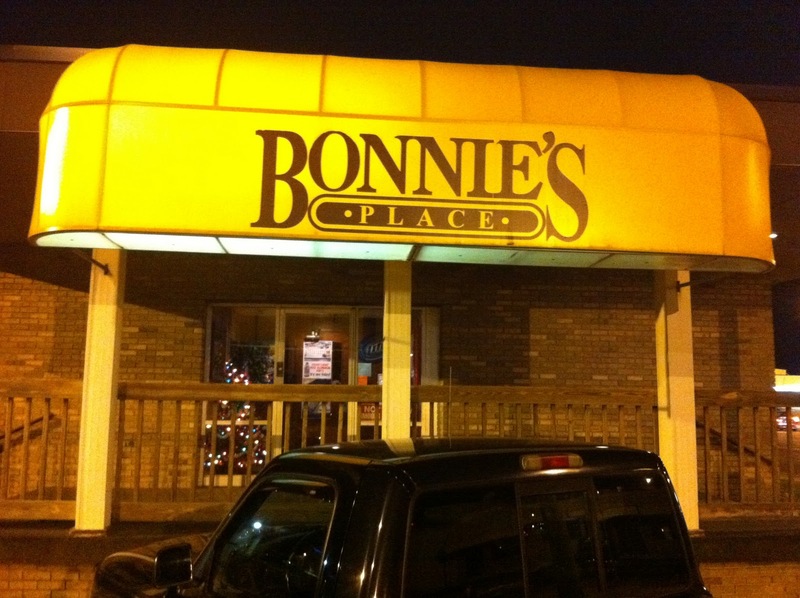 Bonnie’s Place is a bar (there’s really no other description for it) in Lansing, MI, just off the campus of Michigan State. I was in Detroit on business and realized that if I left the office by 5:00 pm, I could make it to Elderly Instruments, over in Lansing, for an hour or so before they closed. 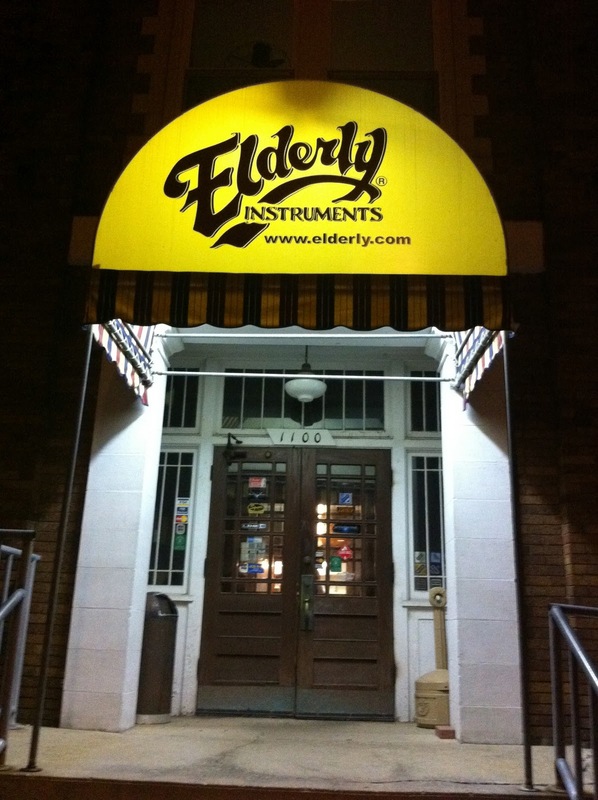 Elderly is one of the guitar-store meccas in the country and I had never been so I jumped at the chance. As these guys seem to know everything about vintage music, who would be better to ask about a good burger? They gave me a series of turns to follow that led me to the gravel parking lot in front of the building in the picture at the top. Walking in, it was Wednesday night and all of the regulars were carrying on lively conversations at the bar. Did I mention that this was a bar? The seating, to the right, was more like a Denny’s, with a bar down the left side. The waitress led me to a table, and listening to all of the folks around me, they all seemed to be ordering the same thing. 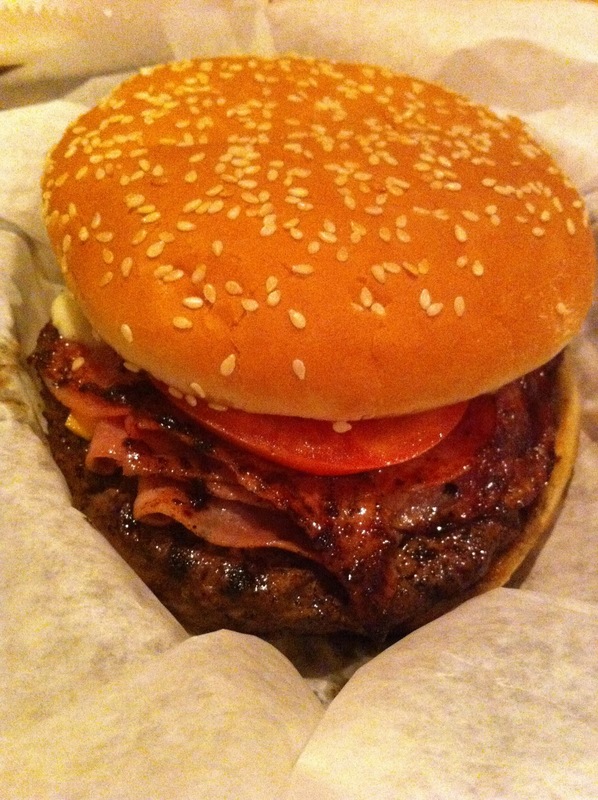 So I ordered a Bonnie Burger – a 1/2 pound cheese-burger with 1/4 pound of shaved ham (??) on top. I’ve never had a burger with ham on it before. Bacon? Sure. But, it actually was good. Not great, but good. The fries were industrial-grade (read: frozen or Wendys-like), but it sure beat eating in the restaurant at the hotel.